Any hockey mom or dad knows the challenges of feeding their athletes for games, practices and tournaments. In this new cookbook by Erin Phillips and Korey Kealey, you’ll find nutrition tips and winning recipes for your hockey star. Phillips is a nutritionist, mom to three active kids, wife to Ottawa Senators’ defenceman Chris Phillips, and herself plays hockey. Kealey is a well-known recipe developer and mom to three competitive hockey players. 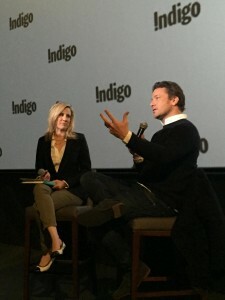 Together the dynamic duo asked parents and wives of professional hockey pros to share their favourite recipes. The end product, which took two years in the making, is a beautifully illustrated cookbook with easy-to-make recipes from hockey greats including Daniel Alfredsson’s Power Play Meat Sauce, Jason Spezza’s Shoot-Out Sea Bass, and Nick Folgino’s Five-Hole Salad. A few of the recipes call for veggie and phytoberry powders (a sponsor of the cookbook). While I’m not full convinced of the need for these supplements, Phillips’ nutrition advice is otherwise solid, highlighting the importance of pre-game fuel, hydration, post-game recovery and sleep. The food photography is mouthwatering and the recipes sport fun, hockey-themed names like Penalty-Kill Parfaits and Off-the-Post Purple Smoothie. 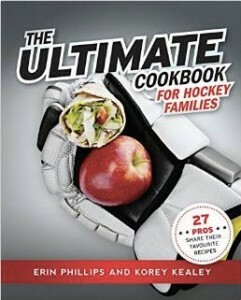 As a dietitian and hockey mom myself, I give thumbs up to The Ultimate Cookbook for Hockey Families. If purchased at Canadian Tire, 100% of the proceeds from book sales will be donated to JumpStart, a charity that offers financial assitance to help kids across Canada play sports. Like most dietitians, I find this advice to be unsubstantiated at this time. Much of the evidence cited in the book is anecdotal and based on testimonials as well as the author’s own experience with his patients. The overpromise of health benefits from his diet plan raises another red flag. 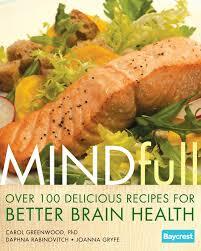 Plus, science tells us that carbs (more specifically glucose, and not fat) are the preferred fuel for our brain. Perlmutter does make some recommendations with which I whole-heartedly agree. For one thing, he recommends that we exercise more and more regularly (he recommends at least 30 minutes, five times a week). Secondly, he advises that we work on getting restful, routine sleep seven days a week. 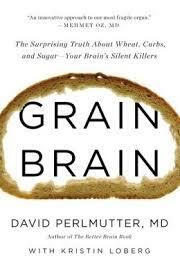 The bottom line though is that Grain Brain is a low-carb diet. Instead of cutting out carbs, my advice is to choose smart carbs like whole grains, vegetables and fruit as part of a balanced diet. There’s no shortage of food and nutrition books out there! Here’s a sampling of my favourites over the years. 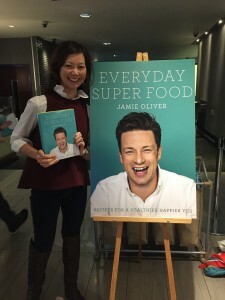 Hands down, this is one of my all-time favourite nutrition books! Wansink shares his entertaining, real-life research from Cornell University which sheds light on the “invisible” cues that make us eat more that we really need. The book is filled with easy, practical tips for eating more mindfully, such including using smaller plates, taking “pause points”, and super-sharing instead of super-sizing. Somer shares common scenarios that promote overeating, such as nibbling while cooking, and finishing off your kids’ plate of food. Many of us can easily identify with these habits. You’ll find great insights from a dietitian and expert advice to help you reach your weight loss goals. Not only is Mairyln Smith one of the funniest gals I know, but she also knows how to create delicious recipes that are absolutely no fail. Smith gives the 101 on must-have kitchen toys as well as a glossary of cooking terms in case, as she notes, you missed grade 8 Home Ec class. From apples and beans to shallots and yogurt, this book offers easy everyday recipes that will wow your family and guests. Leave it to Gloria to write a book that is so easy to read and understand! Tsang offers practical tips for weight loss and answers common questions about fat, carbs and artificial sweeteners. This is a great go-to nutrition book for anyone who wants to lose weight and eat better. With over 275 recipes, this cookbook is perfect for the beginner and advanced cook. Waisman, a dietitian and trained chef, compiled this collection of recipes which were submitted by dietitians using home grown Canadian ingredients. Look for my Baked Salmon with Maple Syrup, and Couscous Primavera recipes, as well as my daughter’s delightful Piggy Pancakes. Two cancer experts share their passion for cancer prevention. Referencing the scientific literature, Béliveau and Gringas detail the benefits of various foods including garlic, green tea, berries and chocolate. At times, the content is reminiscent of my university chemistry classes, but the photography is stunning. Be sure to try the recipes in their follow up book called Cooking with Foods that Fight Cancer, 2006. Fans of Pollan’s widely acclaimed book The Omnivore’s Dilemma (2006) will not be disappointed by this book. On the first page, Pollan sums his advice in seven simple words: Eat food. Not too much. Mostly plants. Pollan promotes whole foods and values eating based on tradition, common sense, and the wisdom of our mothers and grandmothers. 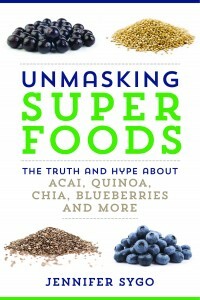 There are a few nutrition inaccuracies in this book, but all in all, a great read. Food Rules: An Eater’s Manual (2009) is the Reader’s Digest version of the book.